Opened in 1886 by the Midland Railway on the line from Nottingham to Worksop, this station closed in 1964. It was reopened in 1998. 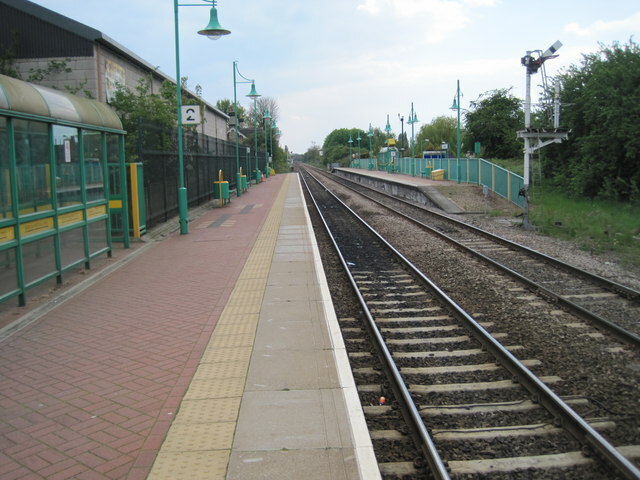 View south towards Langwith-Whaley Thorns and Nottingham. The original station building can just be seen on the left beyond the large modern structure.